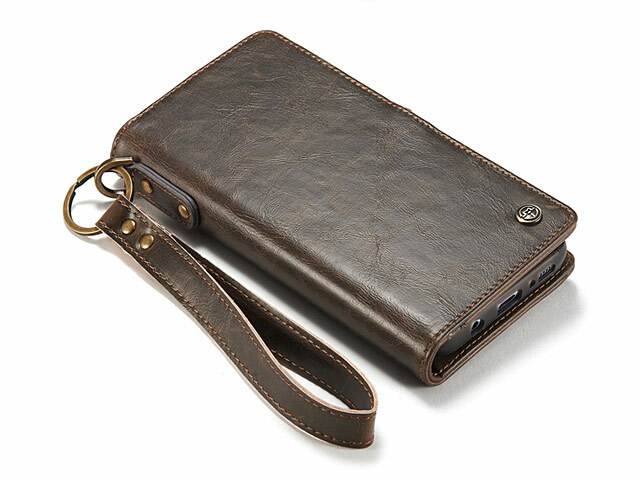 EDC Wallet Case is made of high quality PU leather + TPU materials, high quality and durability. 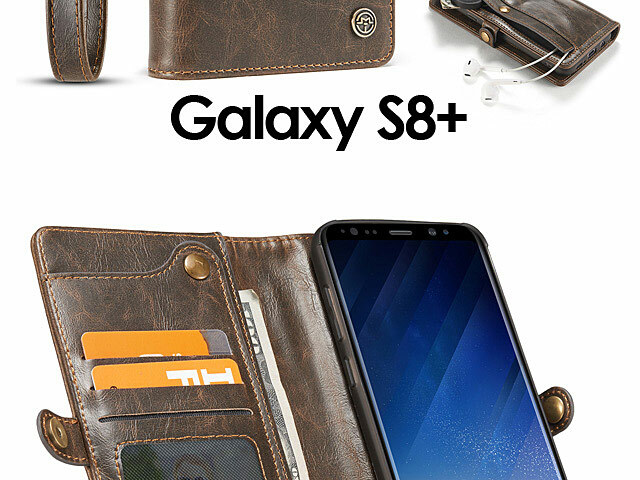 Detachable 2-in-1 design, leather cover and inner leather coated TPU soft case absorb together by snap-fastener. 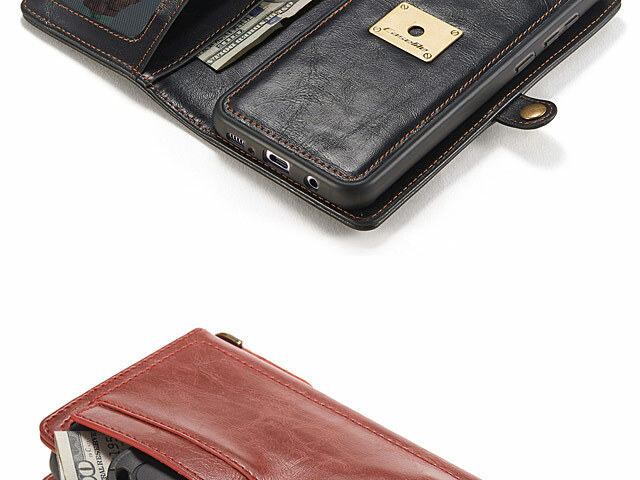 Wallet card slots for bringing your credit cards and bus cards conveniently. 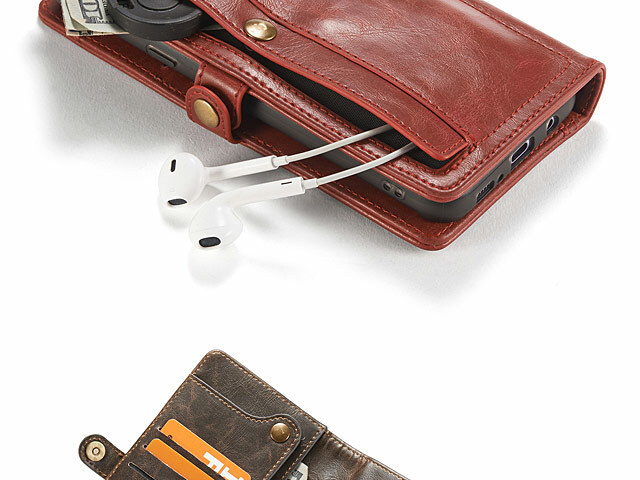 Outer snap-fastener closure cash compartment allows to carry some money or your earphone with phone securely. Guard your phone from daily damage and carry your belongings in style. 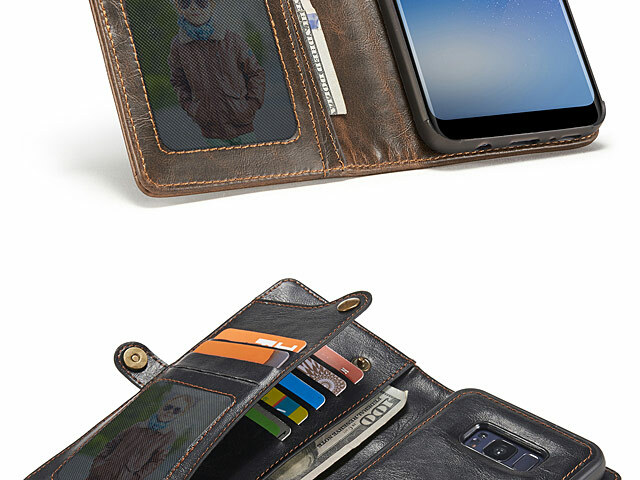 EDC Wallet Case is purely handmade by innovative design technology. 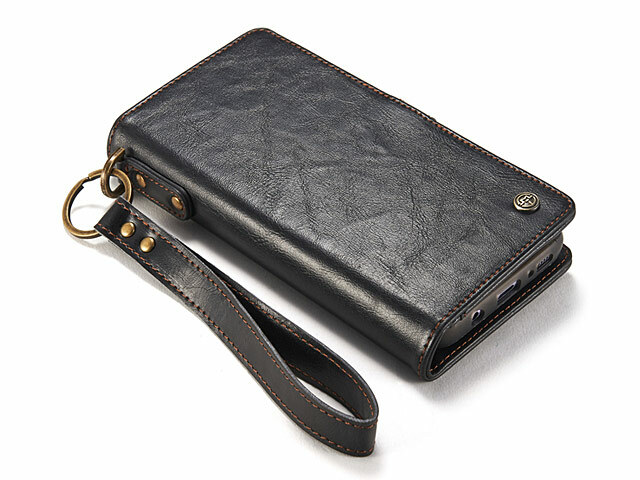 Fits 7 credit card slots plus cash, coin pocket with wrist strap. Precise cutouts for speakers, cameras, and other features allow easy access to all ports and features without disassembling the chassis. 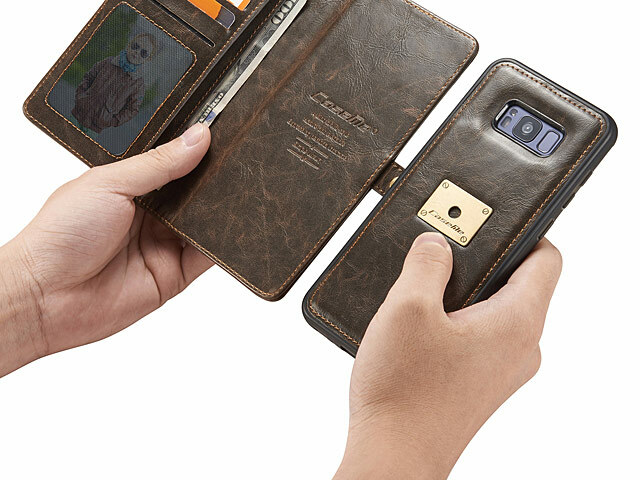 Specially designed wallet case for your Smartphone. 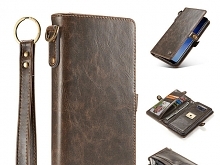 It is full of functions and stylish design for hiking, hunting, globe-trotting executives travel etc. 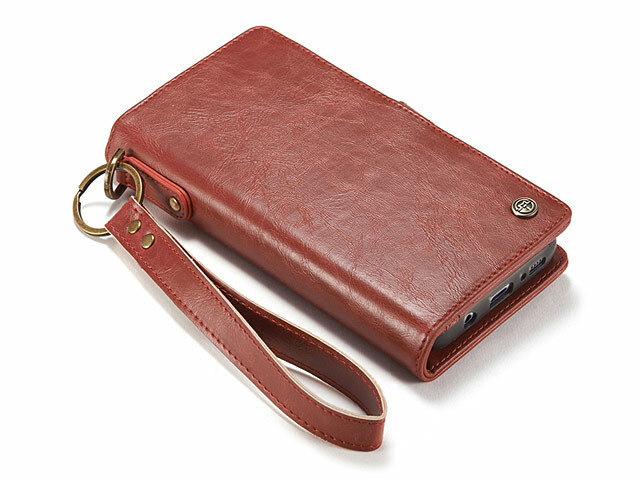 Good replacement of your purse, it almost holds everything.